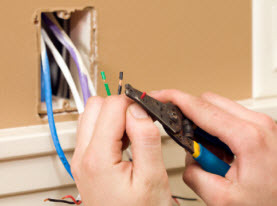 One of the areas of home repair that most people will use an expert for is electrical work. Doing your own electrical work can lead to property damage, personal injury and even death. Electricity is hard to work with if you have not been trained because you cannot see the electric current and that makes it hard to tell what it safe to touch and what is considered a “hot” wire. 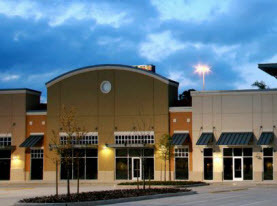 Peterkin Electric has expertly trained and knowledgeable in making electrical repairs for your home or commercial building. We know how to use our tools and expertise to make the repairs without causing any damage and making sure that the work is up to code. There are many reasons that you may require the emergency electrical repair services of Peterkin Electric! Electrical Outlet Repair or Replacement: There are several outlets in each room of your home. They can be used to plug in all your appliances and other items that require some electrical current to function. If you have an outlet that has stopped working all together you may need to have the wiring looked at to see where the circuit is stopping. You may also have an outlet that is sparking each time you plug something in. That is not supposed to happen and if it does you want to have it looked at by an electrician as soon as possible. An outlet that has been shorted out due to an object that has been placed in it that should not have been needs to be replaced by a licensed electrician. 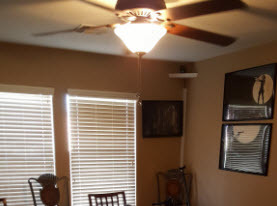 Repair of Electrical Fixtures: If you have any fixtures such as a ceiling fan or a light that is not working or functioning the way that it should it could be due to many different reasons. One could be that the wiring is not done correctly and needs to be looked at and repaired or replaced. 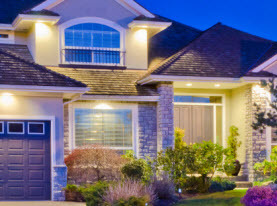 Breaker Box Repair: Each home is equipped with a breaker box that is outside the home. The breaker box houses the breakers that are set to stop the electricity to each area of the home to help protect the appliances and other fixtures from getting fried. The breaker will “pop” when too much electricity is passed to a specific area. That will then stop the current from getting to that area all together but it also means that the outlets and fixtures will no longer work. An expert electrician can come out and make repairs to your breaker box and fuses to get your home back in working order. If you have any electrical repairs that you want to have done by an expert, licensed electrician with experience and training, call Peterkin Electric.